I'm pretty sure Emily Post would back me up when saying that you 100% need to bring a hostess gift to every holiday party you attend. Whether it's a bottle of wine or something more personal, you can't show up empty handed. There are a few exceptions, but err on the side of caution and make sure to have a few hostess gifts on hand just in case you need one at the last minute. 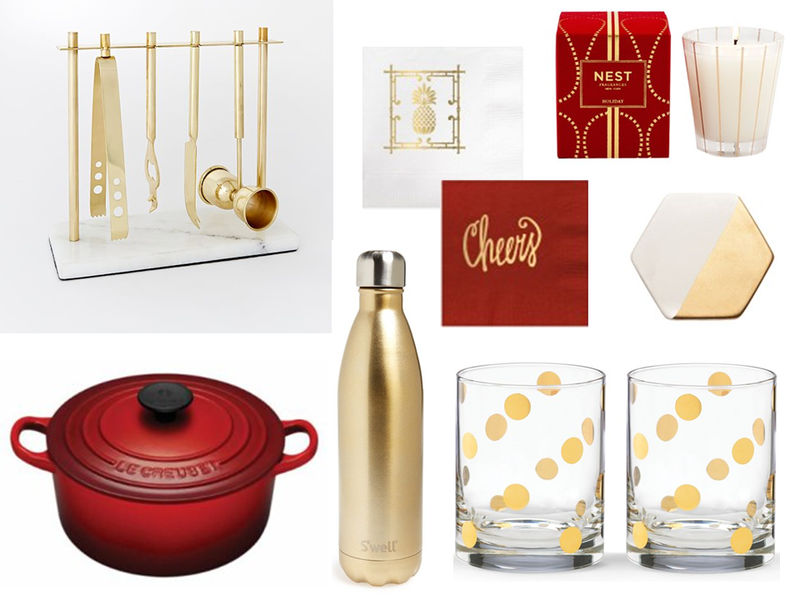 Above are a few of my favorite hostess gifts. Gold and red screams "Happy Holidays! ", so you can't go wrong.